#2 is also a key in solving 2014 ISL G7. A wonderful article indeed.Just to contribute an idea that occurred to me just now I think much more could be proved via square root bc inversion.For example if instead there was a mixitilinear excircle opposite A and we were to prove that its touch chord passes through the A excenter the above mentioned technique gives a neat proof. Something more came to me, both properties 1 and 2 are a direct consequence of $\sqrtbc$ inversion.This might add a little bit of insight into this already wonderful article.This technique somehow naturally connects the mixitilinear incircle with the excircle and make things easier a bit.Of course its just an idea that i think might add something more to the list. 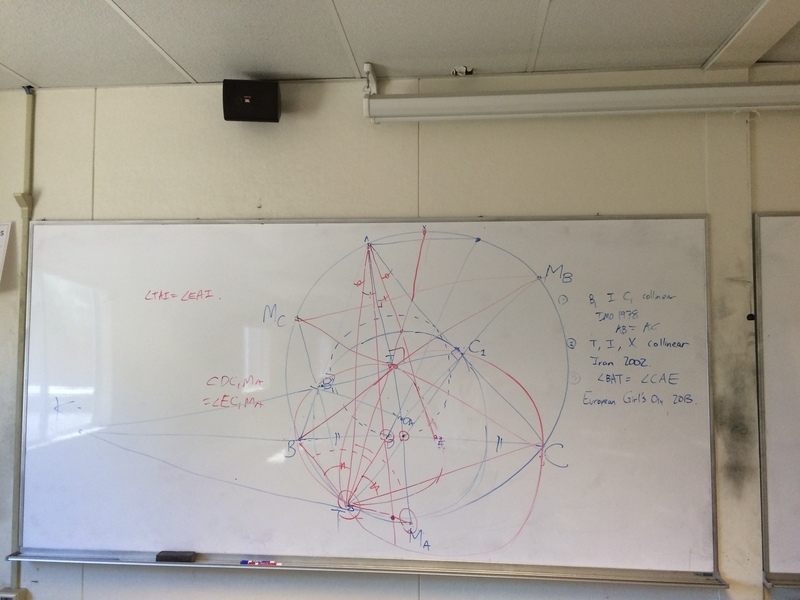 Yep, sqrt bc inverison will certainly prove the other properties here. 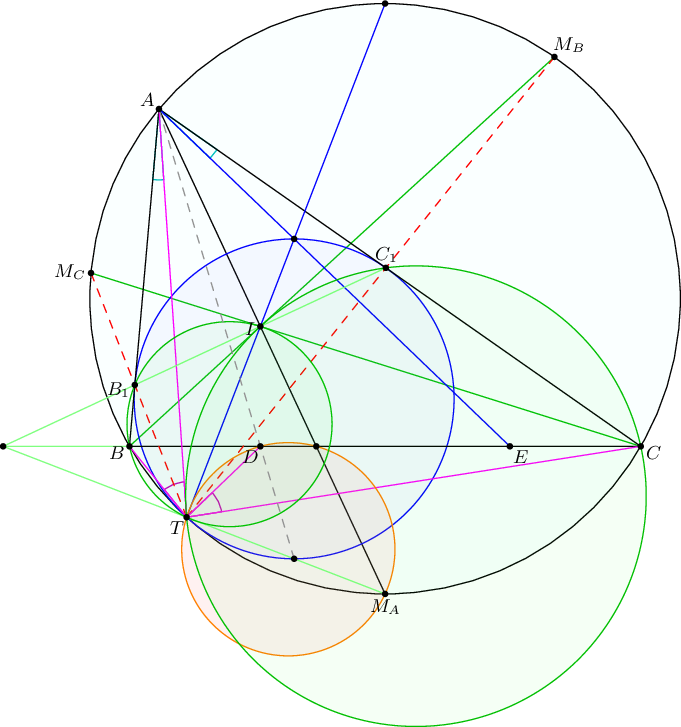 :) The trick is that the mixtilinear incircle gets swapped with the excircle, which is much easier to deal with. Awesome! I was really wondering how to prove some of these properties in class. Btw really nice blog! On a more serious note, perhaps you could also include that the radical axis of the B,C mixt. 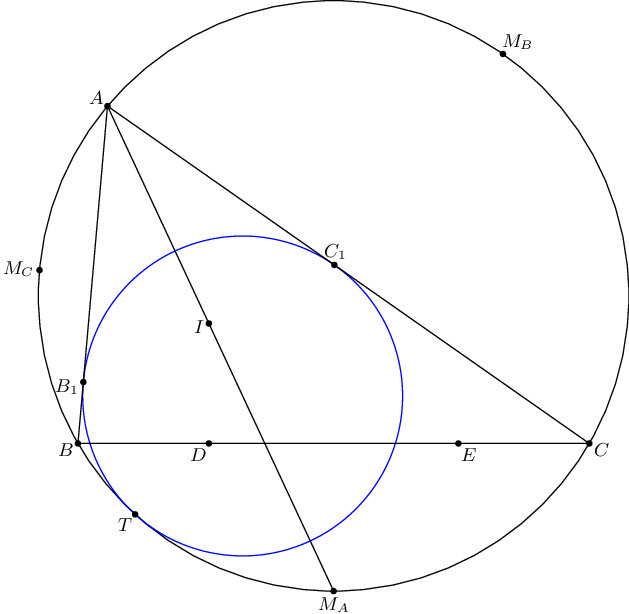 circles goes through the midpoint of arc $BC$ and the midpoint of $ID$, where $D$ is the tangency point of the incircle with $BC$. It’s not very useful, but it’s nice to know it exists.